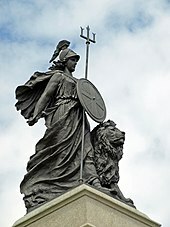 The United Kingdom consists of four constituent countries: England, Scotland, Wales, and Northern Ireland. Their capitals are London, Edinburgh, Cardiff, and Belfast, respectively. Apart from England, the countries have their own devolved governments, each with varying powers, but such power is delegated by the Parliament of the United Kingdom, which may enact laws unilaterally altering or abolishing devolution (England does not have any devolved power). The nearby Isle of Man, Bailiwick of Guernsey and Bailiwick of Jersey are not part of the UK, being Crown dependencies with the British Government responsible for defence and international representation. The medieval conquest and subsequent annexation of Wales by the Kingdom of England, followed by the union between England and Scotland in 1707 to form the Kingdom of Great Britain, and the union in 1801 of Great Britain with the Kingdom of Ireland created the United Kingdom of Great Britain and Ireland. Five-sixths of Ireland seceded from the UK in 1922, leaving the present formulation of the United Kingdom of Great Britain and Northern Ireland. 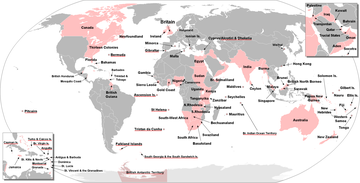 [note 10] There are fourteen British Overseas Territories, the remnants of the British Empire which, at its height in the 1920s, encompassed almost a quarter of the world's land mass and was the largest empire in history. 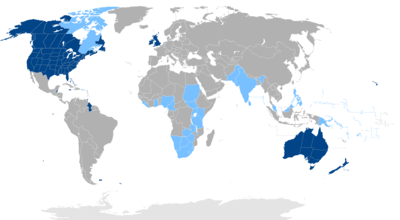 British influence can be observed in the language, culture and political systems of many of its former colonies. 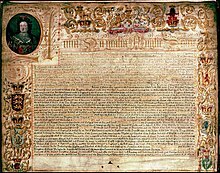 The 1707 Acts of Union declared that the kingdoms of England and Scotland were "United into One Kingdom by the Name of Great Britain". [note 11] The term "United Kingdom" has occasionally been used as a description for the former kingdom of Great Britain, although its official name from 1707 to 1800 was simply "Great Britain". The Acts of Union 1800 united the kingdom of Great Britain and the kingdom of Ireland in 1801, forming the United Kingdom of Great Britain and Ireland. Following the partition of Ireland and the independence of the Irish Free State in 1922, which left Northern Ireland as the only part of the island of Ireland within the United Kingdom, the name was changed to the "United Kingdom of Great Britain and Northern Ireland". The rise of Irish nationalism, and disputes within Ireland over the terms of Irish Home Rule, led eventually to the partition of the island in 1921. The Irish Free State became independent, initially with Dominion status in 1922, and unambiguously independent in 1931. 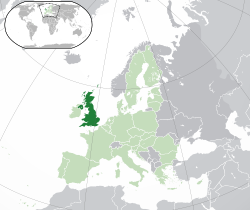 Northern Ireland remained part of the United Kingdom. The 1928 Act widened suffrage by giving women electoral equality with men. A wave of strikes in the mid-1920s culminated in the General Strike of 1926. 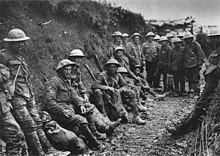 Britain had still not recovered from the effects of the war when the Great Depression (1929–1932) occurred. This led to considerable unemployment and hardship in the old industrial areas, as well as political and social unrest in the 1930s, with rising membership in communist and socialist parties. A coalition government was formed in 1931. Following a period of widespread economic slowdown and industrial strife in the 1970s, the Conservative government of the 1980s under Margaret Thatcher initiated a radical policy of monetarism, deregulation, particularly of the financial sector (for example, Big Bang in 1986) and labour markets, the sale of state-owned companies (privatisation), and the withdrawal of subsidies to others. This resulted in high unemployment and social unrest. From 1984, the economy was helped by the inflow of substantial North Sea oil revenues. The 2008 global financial crisis severely affected the UK economy. The coalition government of 2010 introduced austerity measures intended to tackle the substantial public deficits which resulted. In 2014 the Scottish Government held a referendum on Scottish independence, with 55.3 per cent of voters rejecting the independence proposal and opting to remain within the United Kingdom. In 2016, 51.9 per cent of voters in the United Kingdom voted to leave the European Union. 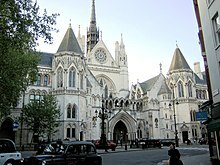 The legal process of leaving the EU began on 29 March 2017, with the UK's invocation of Article 50 of the Treaty of Lisbon, formally notifying the EU of the UK's intention to leave. The article stipulates that the negotiations to leave will last at least two years. The UK remains a full member of the EU during this time. 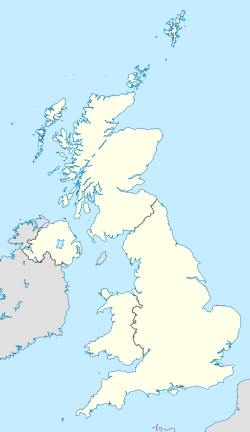 The total area of the United Kingdom is approximately 244,820 square kilometres (94,530 sq mi). 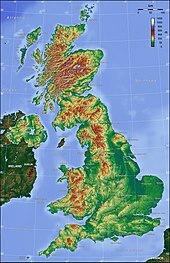 The country occupies the major part of the British Isles archipelago and includes the island of Great Britain, the north-eastern one-sixth of the island of Ireland and some smaller surrounding islands. It lies between the North Atlantic Ocean and the North Sea with the south-east coast coming within 22 miles (35 km) of the coast of northern France, from which it is separated by the English Channel. 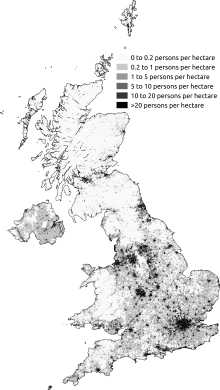 In 1993 10 per cent of the UK was forested, 46 per cent used for pastures and 25 per cent cultivated for agriculture. The Royal Greenwich Observatory in London was chosen as the defining point of the Prime Meridian in Washington in 1884, though it no longer is. England accounts for just over half (53 per cent) of the total area of the UK, covering 130,395 square kilometres (50,350 sq mi). Most of the country consists of lowland terrain, with mountainous terrain north-west of the Tees-Exe line; including the Cumbrian Mountains of the Lake District, the Pennines, Exmoor and Dartmoor. The main rivers and estuaries are the Thames, Severn and the Humber. England's highest mountain is Scafell Pike (978 metres (3,209 ft)) in the Lake District. Scotland accounts for just under a third (32 per cent) of the total area of the UK, covering 78,772 square kilometres (30,410 sq mi) and including nearly eight hundred islands, predominantly west and north of the mainland; notably the Hebrides, Orkney Islands and Shetland Islands. Scotland is the most mountainous country in the UK and its topography is distinguished by the Highland Boundary Fault – a geological rock fracture – which traverses Scotland from Arran in the west to Stonehaven in the east. The fault separates two distinctively different regions; namely the Highlands to the north and west and the lowlands to the south and east. The more rugged Highland region contains the majority of Scotland's mountainous land, including Ben Nevis which at 1,345 metres (4,413 ft) is the highest point in the British Isles. Lowland areas – especially the narrow waist of land between the Firth of Clyde and the Firth of Forth known as the Central Belt – are flatter and home to most of the population including Glasgow, Scotland's largest city, and Edinburgh, its capital and political centre, although upland and mountainous terrain lies within the Southern Uplands. Wales accounts for less than a tenth (9 per cent) of the total area of the UK, covering 20,779 square kilometres (8,020 sq mi). Wales is mostly mountainous, though South Wales is less mountainous than North and mid Wales. The main population and industrial areas are in South Wales, consisting of the coastal cities of Cardiff, Swansea and Newport, and the South Wales Valleys to their north. The highest mountains in Wales are in Snowdonia and include Snowdon (Welsh: Yr Wyddfa) which, at 1,085 metres (3,560 ft), is the highest peak in Wales. Wales has over 2,704 kilometres (1,680 miles) of coastline. Several islands lie off the Welsh mainland, the largest of which is Anglesey (Ynys Môn) in the north-west. The position of prime minister,[note 12] the UK's head of government, belongs to the person most likely to command the confidence of the House of Commons; this individual is typically the leader of the political party or coalition of parties that holds the largest number of seats in that chamber. The prime minister chooses a cabinet and its members are formally appointed by the monarch to form Her Majesty's Government. By convention, the monarch respects the prime minister's decisions of government. The Conservative Party, the Labour Party and the Liberal Democrats (formerly as the Liberal Party) have, in modern times, been considered the UK's three major political parties, representing the British traditions of conservatism, socialism and liberalism, respectively. However, in both the 2015 and 2017 general elections, the Scottish National Party was the third-largest party by number of seats won, ahead of the Liberal Democrats. Most of the remaining seats were won by parties that contest elections only in one part of the UK: Plaid Cymru (Wales only); and the Democratic Unionist Party and Sinn Féin (Northern Ireland only[note 13]). In accordance with party policy, no elected Sinn Féin members of parliament have ever attended the House of Commons to speak on behalf of their constituents because of the requirement to take an oath of allegiance to the monarch. The Scottish Government and Parliament have wide-ranging powers over any matter that has not been specifically reserved to the UK Parliament, including education, healthcare, Scots law and local government. In 2012, the UK and Scottish governments signed the Edinburgh Agreement setting out the terms for a referendum on Scottish independence in 2014, which was defeated 55.3 per cent to 44.7 per cent – resulting in Scotland remaining a devolved part of the United Kingdom. Crime in England and Wales increased in the period between 1981 and 1995, though since that peak there has been an overall fall of 66 per cent in recorded crime from 1995 to 2015, according to crime statistics. The prison population of England and Wales has increased to 86,000, giving England and Wales the highest rate of incarceration in Western Europe at 148 per 100,000. Her Majesty's Prison Service, which reports to the Ministry of Justice, manages most of the prisons within England and Wales. The murder rate in England and Wales has stabilised in the first half of the 2010s with a murder rate around 1 per 100,000 which is half the peak in 2002 and similar to the rate in the 1980s Crime in Scotland fell slightly in 2014/2015 to its lowest level in 39 years in with 59 killings for a murder rate of 1.1 per 100,000. Scotland's prisons are overcrowded but the prison population is shrinking. The UK is a permanent member of the United Nations Security Council, a member of NATO, the Commonwealth of Nations, the G7 finance ministers, the G7 forum (previously the G8 forum), the G20, the OECD, the WTO, the Council of Europe and the OSCE. It is also a member state of the European Union in the process of withdrawal. The UK is said to have a "Special Relationship" with the United States and a close partnership with France – the "Entente cordiale" – and shares nuclear weapons technology with both countries; the Anglo-Portuguese Alliance is considered to be the oldest currently binding military alliance in the world. The UK is also closely linked with the Republic of Ireland; the two countries share a Common Travel Area and co-operate through the British-Irish Intergovernmental Conference and the British-Irish Council. Britain's global presence and influence is further amplified through its trading relations, foreign investments, official development assistance and military engagements. Canada, Australia and New Zealand are the most favourably viewed countries in the world by British people, sharing a number of close diplomatic, military and cultural ties with the UK. There is considerable public and political support for increased trade, foreign policy co-operation and mobility of citizens between the UK and Canada, Australia and New Zealand under a proposal known by the acronym "CANZUK" – with 68 per cent of British people stating that they would endorse the proposition in principle. The armed forces of the United Kingdom – officially, Her Majesty's Armed Forces – consist of three professional service branches: the Royal Navy and Royal Marines (forming the Naval Service), the British Army and the Royal Air Force. The forces are managed by the Ministry of Defence and controlled by the Defence Council, chaired by the Secretary of State for Defence. The Commander-in-Chief is the British monarch, to whom members of the forces swear an oath of allegiance. The Armed Forces are charged with protecting the UK and its overseas territories, promoting the UK's global security interests and supporting international peacekeeping efforts. They are active and regular participants in NATO, including the Allied Rapid Reaction Corps, as well as the Five Power Defence Arrangements, RIMPAC and other worldwide coalition operations. Overseas garrisons and facilities are maintained in Ascension Island, Bahrain, Belize, Brunei, Canada, Cyprus, Diego Garcia, the Falkland Islands, Germany, Gibraltar, Kenya, Oman, Qatar and Singapore. According to various sources, including the Stockholm International Peace Research Institute and the International Institute for Strategic Studies, the United Kingdom has the fourth- or fifth-highest military expenditure in the world. Total defence spending amounts to 2.0 per cent of national GDP. The UK service sector makes up around 79 per cent of GDP. London is one of the three "command centres" of the global economy (alongside New York City and Tokyo), it is the world's largest financial centre alongside New York, and it has the largest city GDP in Europe. Tourism is very important to the British economy; with over 27 million tourists arriving in 2004, the United Kingdom is ranked as the sixth major tourist destination in the world and London has the most international visitors of any city in the world. The creative industries accounted for 7 per cent GVA in 2005 and grew at an average of 6 per cent per annum between 1997 and 2005. The Industrial Revolution started in the UK with an initial concentration on the textile industry, followed by other heavy industries such as shipbuilding, coal mining and steelmaking. 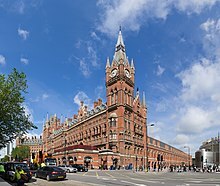 British merchants, shippers and bankers developed overwhelming advantage over those of other nations allowing the UK to dominate international trade in the 19th century. As other nations industrialised, coupled with economic decline after two world wars, the United Kingdom began to lose its competitive advantage and heavy industry declined, by degrees, throughout the 20th century. Manufacturing remains a significant part of the economy but accounted for only 16.7 per cent of national output in 2003. The automotive industry is a significant part of the UK manufacturing sector and employs around 800,000 people, with a turnover in 2015 of £70 billion, generating £34.6 billion of exports (11.8 per cent of the UK's total export goods). In 2015, the UK produced around 1.6 million passenger vehicles and 94,500 commercial vehicles. The UK is a major centre for engine manufacturing: in 2015 around 2.4 million engines were produced. The UK motorsport industry employs around 41,000 people, comprises around 4,500 companies and has an annual turnover of around £6 billion. BAE Systems plays a critical role in some of the world's biggest defence aerospace projects. In the UK, the company makes large sections of the Typhoon Eurofighter and assembles the aircraft for the Royal Air Force. It is also a principal subcontractor on the F35 Joint Strike Fighter – the world's largest single defence project – for which it designs and manufactures a range of components. It also manufactures the Hawk, the world's most successful jet training aircraft. Airbus UK also manufactures the wings for the A400 m military transporter. Rolls-Royce is the world's second-largest aero-engine manufacturer. Its engines power more than 30 types of commercial aircraft and it has more than 30,000 engines in service in the civil and defence sectors. Agriculture is intensive, highly mechanised and efficient by European standards, producing about 60 per cent of food needs with less than 1.6 per cent of the labour force (535,000 workers). Around two-thirds of production is devoted to livestock, one-third to arable crops. Farmers are subsidised by the EU's Common Agricultural Policy. The UK retains a significant, though much reduced fishing industry. It is also rich in a number of natural resources including coal, petroleum, natural gas, tin, limestone, iron ore, salt, clay, chalk, gypsum, lead, silica and an abundance of arable land. In the final quarter of 2008, the UK economy officially entered recession for the first time since 1991. Following the likes of the United States, France and many major economies, in 2013, the UK lost its top AAA credit rating for the first time since 1978 with Moodys and Fitch credit agency, but, unlike the other major economies, retained its triple A rating with Standard & Poor's. By the end of 2014, UK growth was the fastest in both the G7 and in Europe, and by September 2015, the unemployment rate was down to a seven-year low of 5.3 per cent. Since the 1980s, UK economic inequality, like Canada, Australia and the United States, has grown faster than in other developed countries. The poverty line in the UK is commonly defined as being 60 per cent of the median household income. [note 14] The Office for National Statistics has estimated that in 2011, 14 million people were at risk of poverty or social exclusion, and that one person in 20 (5.1 per cent) was experiencing "severe material depression", up from 3 million people in 1977. Although the UK does not have an official poverty measure, the Joseph Rowntree Foundation and the Social Metrics Commission estimate, based on government data, that there are 14 million people in poverty in the UK. 1.5 million people experienced destitution in 2017. In 2018, the UN Special Rapporteur on Extreme Poverty and Human Rights visited the UK and found that government policies and cuts to social support are "entrenching high levels of poverty and inflicting unnecessary misery in one of the richest countries in the world." The UK has an external debt of $9.6 trillion dollars, which is the second-highest in the world after the US. As a percentage of GDP, external debt is 408 per cent, which is the third-highest in the world after Luxembourg and Iceland. Scientific research and development remains important in British universities, with many establishing science parks to facilitate production and co-operation with industry. Between 2004 and 2008 the UK produced 7 per cent of the world's scientific research papers and had an 8 per cent share of scientific citations, the third and second-highest in the world (after the United States and China, respectively). Scientific journals produced in the UK include Nature, the British Medical Journal and The Lancet. In 2006, the UK was the world's ninth-largest consumer of energy and the 15th-largest producer. The UK is home to a number of large energy companies, including two of the six oil and gas "supermajors" – BP and Royal Dutch Shell. In 2011, 40 per cent of the UK's electricity was produced by gas, 30 per cent by coal, 19 per cent by nuclear power and 4.2 per cent by wind, hydro, biofuels and wastes. In the late 1990s, nuclear power plants contributed around 25 per cent of total annual electricity generation in the UK, but this has gradually declined as old plants have been shut down and ageing-related problems affect plant availability. In 2012, the UK had 16 reactors normally generating about 19 per cent of its electricity. All but one of the reactors will be retired by 2023. Unlike Germany and Japan, the UK intends to build a new generation of nuclear plants from about 2018. The total of all renewable electricity sources provided for 14.9 per cent of the electricity generated in the United Kingdom in 2013, reaching 53.7 TWh of electricity generated. The UK is one of the best sites in Europe for wind energy, and wind power production is its fastest growing supply, in 2014 it generated 9.3 per cent of the UK's total electricity. Access to improved water supply and sanitation in the UK is universal. It is estimated that 96.7 per cent of households are connected to the sewer network. According to the Environment Agency, total water abstraction for public water supply in the UK was 16,406 megalitres per day in 2007. Drinking water standards and wastewater discharge standards in the UK, as in other countries of the European Union, are determined by the EU (see Water supply and sanitation in the European Union). A census is taken simultaneously in all parts of the UK every ten years. 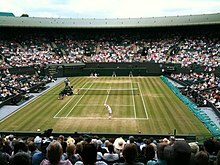 In the 2011 census the total population of the United Kingdom was 63,181,775. 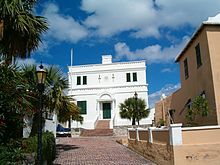 It is the third-largest in the European Union, the fifth-largest in the Commonwealth and the 22nd-largest in the world. In mid-2014 and mid-2015 net long-term international migration contributed more to population growth. In mid-2012 and mid-2013 natural change contributed the most to population growth. Between 2001 and 2011 the population increased by an average annual rate of approximately 0.7 per cent. This compares to 0.3 per cent per year in the period 1991 to 2001 and 0.2 per cent in the decade 1981 to 1991. The 2011 census also confirmed that the proportion of the population aged 0–14 has nearly halved (31 per cent in 1911 compared to 18 in 2011) and the proportion of older people aged 65 and over has more than tripled (from 5 per cent to 16 per cent). In 2012 the average total fertility rate (TFR) across the UK was 1.92 children per woman. While a rising birth rate is contributing to current population growth, it remains considerably below the 'baby boom' peak of 2.95 children per woman in 1964, below the replacement rate of 2.1, but higher than the 2001 record low of 1.63. In 2011, 47.3 per cent of births in the UK were to unmarried women. The Office for National Statistics published a bulletin in 2015 showing that, out of the UK population aged 16 and over, 1.7 per cent identify as lesbian, gay, or bisexual (2.0 per cent of males and 1.5 per cent of females); 4.5 per cent of respondents responded with "other", "I don't know", or did not respond. Historically, indigenous British people were thought to be descended from the various ethnic groups that settled there before the 12th century: the Celts, Romans, Anglo-Saxons, Norse and the Normans. Welsh people could be the oldest ethnic group in the UK. A 2006 genetic study shows that more than 50 per cent of England's gene pool contains Germanic Y chromosomes. Another 2005 genetic analysis indicates that "about 75 per cent of the traceable ancestors of the modern British population had arrived in the British isles by about 6,200 years ago, at the start of the British Neolithic or Stone Age", and that the British broadly share a common ancestry with the Basque people. The UK has a history of small-scale non-white immigration, with Liverpool having the oldest Black population in the country dating back to at least the 1730s during the period of the African slave trade. During this period it is estimated the Afro-Caribbean population of Great Britain was 10,000 to 15,000 which later declined due to the abolition of slavery. The UK also has the oldest Chinese community in Europe, dating to the arrival of Chinese seamen in the 19th century. In 1950 there were probably fewer than 20,000 non-white residents in Britain, almost all born overseas. In 1951 there were an estimated 94,500 people living in Britain who had been born in South Asia, China, Africa and the Caribbean, just under 0.2 per cent of the UK population. By 1961 this number had more than quadrupled to 384,000, just over 0.7 per cent of the United Kingdom population. Academics have argued that the ethnicity categories employed in British national statistics, which were first introduced in the 1991 census, involve confusion between the concepts of ethnicity and race. In 2011[update], 87.2 per cent of the UK population identified themselves as white, meaning 12.8 per cent of the UK population identify themselves as of one of number of ethnic minority groups. In the 2001 census, this figure was 7.9 per cent of the UK population. Because of differences in the wording of the census forms used in England and Wales, Scotland and Northern Ireland, data on the Other White group is not available for the UK as a whole, but in England and Wales this was the fastest growing group between the 2001 and 2011 censuses, increasing by 1.1 million (1.8 percentage points). Amongst groups for which comparable data is available for all parts of the UK level, the Other Asian category increased from 0.4 per cent to 1.4 per cent of the population between 2001 and 2011, while the Mixed category rose from 1.2 per cent to 2 per cent. The UK's de facto official language is English. It is estimated that 95 per cent of the UK's population are monolingual English speakers. 5.5 per cent of the population are estimated to speak languages brought to the UK as a result of relatively recent immigration. 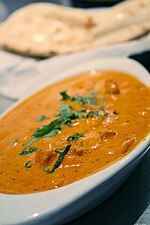 South Asian languages, including Punjabi, Hindi, Bengali and Gujarati, are the largest grouping and are spoken by 2.7 per cent of the UK population. According to the 2011 census, Polish has become the second-largest language spoken in England and has 546,000 speakers. In 2019, some three quarters of a million people spoke little or no English. Four Celtic languages are spoken in the UK: Welsh, Irish, Scottish Gaelic and Cornish. All are recognised as regional or minority languages, by the European Union, under the European Charter for Regional or Minority Languages and the Framework Convention for the Protection of National Minorities. As it is an EU member state, this therefore obliges the UK government to provide them specific measures of protection and promotion. 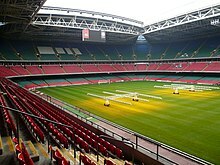 In the 2001 Census over one-fifth (21 per cent) of the population of Wales said they could speak Welsh, an increase from the 1991 Census (18 per cent). In addition it is estimated that about 200,000 Welsh speakers live in England. In the same census in Northern Ireland 167,487 people (10.4 per cent) stated that they had "some knowledge of Irish" (see Irish language in Northern Ireland), almost exclusively in the nationalist (mainly Catholic) population. Over 92,000 people in Scotland (just under 2 per cent of the population) had some Gaelic language ability, including 72 per cent of those living in the Outer Hebrides. The number of schoolchildren being taught through Welsh, Scottish Gaelic and Irish is increasing. Among emigrant-descended populations some Scottish Gaelic is still spoken in Canada (principally Nova Scotia and Cape Breton Island), and Welsh in Patagonia, Argentina. In the 2001 census 71.6 per cent of all respondents indicated that they were Christians, with the next largest faiths being Islam (2.8 per cent), Hinduism (1.0 per cent), Sikhism (0.6 per cent), Judaism (0.5 per cent), Buddhism (0.3 per cent) and all other religions (0.3 per cent). 15 per cent of respondents stated that they had no religion, with a further 7 per cent not stating a religious preference. A Tearfund survey in 2007 showed only one in ten Britons actually attend church weekly. Between the 2001 and 2011 census there was a decrease in the number of people who identified as Christian by 12 per cent, whilst the percentage of those reporting no religious affiliation doubled. This contrasted with growth in the other main religious group categories, with the number of Muslims increasing by the most substantial margin to a total of about 5 per cent. The Muslim population has increased from 1.6 million in 2001 to 2.7 million in 2011, making it the second-largest religious group in the United Kingdom. In a 2016 survey conducted by BSA (British Social Attitudes) on religious affiliation; 53 per cent of respondents indicated 'no religion', while 41 per cent indicated they were Christians, followed by 6 per cent who affiliated with other religions (e.g. Islam, Hinduism, Judaism, etc.). Among Christians, adherents to the Church of England constituted 15 per cent, Roman Catholic Church 9 per cent, and other Christians (including Presbyterians, Methodists, other Protestants, as well as Eastern Orthodox), 17 per cent. 71 per cent of young people aged 18––24 said they had no religion. 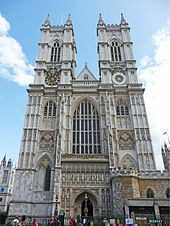 The Church of England is the established church in England. It retains a representation in the UK Parliament and the British monarch is its Supreme Governor. In Scotland, the Church of Scotland is recognised as the national church. It is not subject to state control, and the British monarch is an ordinary member, required to swear an oath to "maintain and preserve the Protestant Religion and Presbyterian Church Government" upon his or her accession. The Church in Wales was disestablished in 1920 and, as the Church of Ireland was disestablished in 1870 before the partition of Ireland, there is no established church in Northern Ireland. Although there are no UK-wide data in the 2001 census on adherence to individual Christian denominations, it has been estimated that 62 per cent of Christians are Anglican, 13.5 per cent Catholic, 6 per cent Presbyterian, and 3.4 per cent Methodist, with small numbers of other Protestant denominations such as Plymouth Brethren, and Orthodox churches. The United Kingdom has experienced successive waves of migration. The Great Famine in Ireland, then part of the United Kingdom, resulted in perhaps a million people migrating to Great Britain. Throughout the 19th century a small population of German immigrants built up, numbering 28,644 in England and Wales in 1861. London held around half of this population, and other small communities existed in Manchester, Bradford and elsewhere. The German immigrant community was the largest group until 1891, when it became second to Russian Jews. England has had small Jewish communities for many centuries, subject to occasional expulsions, but British Jews numbered fewer than 10,000 at the start of the 19th century. After 1881, Russian Jews suffered bitter persecutions and some had 2,000,000 left Russia (which included parts of modern-day Poland, Belarus, and Ukraine) by 1914. Around 120,000 settled permanently in Britain, becoming the largest ethnic minority from outside the British Isles; this population had increased to 370,000 by 1938. Unable to return to Poland at the end of the Second World War, over 120,000 Polish veterans remained in the UK permanently. After the Second World War, there was significant immigration from the colonies and newly independent former colonies, many from the Caribbean and Indian subcontinent, partly as a legacy of empire and partly driven by labour shortages. In 1841, 0.25 [per cent of the population of England and Wales was born in a foreign country, increasing to 1.5 per cent by 1901, 2.6 per cent by 1931, and 4.4 per cent in 1951. In 2014 the net increase was 318,000: immigration was 641,000, up from 526,000 in 2013, while the number of people emigrating (for more than 12 months) was 323,000. One of the more recent trends in migration has been the arrival of workers from the new EU member states in Eastern Europe, known as the A8 countries. Citizens of the European Union, including those of the UK, have the right to live and work in any EU member state. The UK applied temporary restrictions to citizens of Romania and Bulgaria, which joined the EU in January 2007. Research conducted by the Migration Policy Institute for the Equality and Human Rights Commission suggests that, between May 2004 and September 2009, 1.5 million workers migrated from the new EU member states to the UK, two-thirds of them Polish, but that many subsequently returned home, resulting in a net increase in the number of nationals of the new member states in the UK of some 700,000 over that period. The late-2000s recession in the UK reduced the economic incentive for Poles to migrate to the UK, the migration becoming temporary and circular. In 2009, for the first time since enlargement, more nationals of the eight central and eastern European states that had joined the EU in 2004 left the UK than arrived. In 2011, citizens of the new EU member states made up 13 per cent of the immigrants entering the country. In 2010, there were 7.0 million foreign-born residents in the UK, corresponding to 11.3 per cent of the total population. Of these, 4.76 million (7.7 per cent) were born outside the EU and 2.24 million (3.6 per cent) were born in another EU Member State. The proportion of foreign-born people in the UK remains slightly below that of many other European countries. Immigration is now contributing to a rising population with arrivals and UK-born children of migrants accounting for about half of the population increase between 1991 and 2001. Over a quarter (27.0 per cent) of live births in 2014 were to mothers born outside the UK, according to official statistics released in 2015. Analysis of Office for National Statistics (ONS) data shows that a net total of 2.3 million migrants moved to the UK in the 15 years from 1991 to 2006. The ONS reported that net migration rose from 2009 to 2010 by 21 per cent to 239,000. A government commission's report in 2014 found that privately educated people comprise 7 per cent of the general population of the UK but much larger percentages of the top professions, the most extreme case quoted being 71 per cent of senior judges. Whilst education in England is the responsibility of the Secretary of State for Education, the day-to-day administration and funding of state schools is the responsibility of local authorities. Universally free of charge state education was introduced piecemeal between 1870 and 1944. Education is now mandatory from ages five to sixteen, and in England youngsters must stay in education or training until they are 18. In 2011, the Trends in International Mathematics and Science Study (TIMSS) rated 13–14-year-old pupils in England and Wales 10th in the world for maths and 9th for science. The majority of children are educated in state-sector schools, a small proportion of which select on the grounds of academic ability. Two of the top ten performing schools in terms of GCSE results in 2006 were state-run grammar schools. In 2010, over half of places at the University of Oxford and the University of Cambridge were taken by students from state schools, while the proportion of children in England attending private schools is around 7 per cent, which rises to 18 per cent of those over 16. 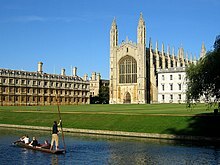 England has the two oldest universities in English-speaking world, Universities of Oxford and Cambridge (jointly known as "Oxbridge") with history of over eight centuries. Education in Scotland is the responsibility of the Cabinet Secretary for Education and Lifelong Learning, with day-to-day administration and funding of state schools the responsibility of Local Authorities. Two non-departmental public bodies have key roles in Scottish education. The Scottish Qualifications Authority is responsible for the development, accreditation, assessment and certification of qualifications other than degrees which are delivered at secondary schools, post-secondary colleges of further education and other centres. Learning and Teaching Scotland provides advice, resources and staff development to education professionals. Scotland first legislated for compulsory education in 1496. The proportion of children in Scotland attending private schools is just over 4 per cent in 2016, but it has been falling slowly in recent years. 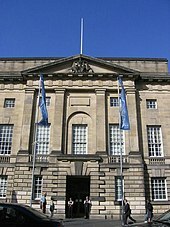 Scottish students who attend Scottish universities pay neither tuition fees nor graduate endowment charges, as fees were abolished in 2001 and the graduate endowment scheme was abolished in 2008. Healthcare in the United Kingdom is a devolved matter and each country has its own system of private and publicly funded health care, together with alternative, holistic and complementary treatments. Public healthcare is provided to all UK permanent residents and is mostly free at the point of need, being paid for from general taxation. The World Health Organization, in 2000, ranked the provision of healthcare in the United Kingdom as fifteenth best in Europe and eighteenth in the world. Since 1979 expenditure on healthcare has been increased significantly to bring it closer to the European Union average. The UK spends around 8.4 per cent of its gross domestic product on healthcare, which is 0.5 percentage points below the Organisation for Economic Co-operation and Development average and about one percentage point below the average of the European Union. Britain's oldest known poem, Y Gododdin, was composed in Yr Hen Ogledd (The Old North), most likely in the late 6th century. It was written in Cumbric or Old Welsh and contains the earliest known reference to King Arthur. From around the seventh century, the connection between Wales and the Old North was lost, and the focus of Welsh-language culture shifted to Wales, where Arthurian legend was further developed by Geoffrey of Monmouth. Wales's most celebrated medieval poet, Dafydd ap Gwilym (fl.1320–1370), composed poetry on themes including nature, religion and especially love. He is widely regarded as one of the greatest European poets of his age. 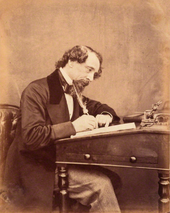 Until the late 19th century the majority of Welsh literature was in Welsh and much of the prose was religious in character. Daniel Owen is credited as the first Welsh-language novelist, publishing Rhys Lewis in 1885. The best-known of the Anglo-Welsh poets are both Thomases. Dylan Thomas became famous on both sides of the Atlantic in the mid-20th century. He is remembered for his poetry – his "Do not go gentle into that good night; Rage, rage against the dying of the light" is one of the most quoted couplets of English language verse – and for his "play for voices", Under Milk Wood. The influential Church in Wales "poet-priest" and Welsh nationalist R. S. Thomas was nominated for the Nobel Prize in Literature in 1996. Leading Welsh novelists of the twentieth century include Richard Llewellyn and Kate Roberts. As of 2016, pop remains the most popular music genre in the UK with 33.4 per cent of unit sales, followed by hip-hop and R&B at 24.5 per cent of unit sales. Rock is not far behind, at 22.6 per cent of unit sales. The modern UK is known to produce some of the most prominent world rappers along with the United States, including Stormzy, Kano, Yxng Bane, Ramz and Skepta. The sharp increase of hip-hop and R&B listeners in the UK in the last three years is often explained by an easier access to the genre due to the higher usage of streaming platforms such as Spotify and SoundCloud where hip-hop and R&B is the most popular genre, and also by the rising of new hip-hop and R&B sub-genres popular among the Millennials and the Generation Z (post-Millennials), mainly developed in the US with artists popular in the UK, such as phonk rap (e.g. A$AP Rocky, Lil Uzi Vert, Chance the Rapper, Lil Skies) and alternative R&B (e.g. The Weeknd, Beyoncé, Janelle Monáe, SZA). In 2009, British films grossed around $2 billion worldwide and achieved a market share of around 7 per cent globally and 17 per cent in the United Kingdom. UK box-office takings totalled £944 million in 2009, with around 173 million admissions. 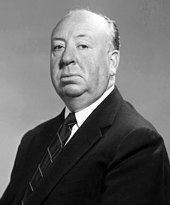 The British Film Institute has produced a poll ranking of what it considers to be the 100 greatest British films of all time, the BFI Top 100 British films. The annual British Academy Film Awards are hosted by the British Academy of Film and Television Arts. In 2009, it was estimated that individuals viewed a mean of 3.75 hours of television per day and 2.81 hours of radio. 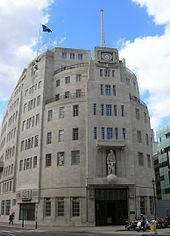 In that year the main BBC public service broadcasting channels accounted for an estimated 28.4 per cent of all television viewing; the three main independent channels accounted for 29.5 per cent and the increasingly important other satellite and digital channels for the remaining 42.1 per cent. Sales of newspapers have fallen since the 1970s and in 2010 41 per cent of people reported reading a daily national newspaper. In 2010, 82.5 per cent of the UK population were Internet users, the highest proportion amongst the 20 countries with the largest total number of users in that year. The United Kingdom is famous for the tradition of 'British Empiricism', a branch of the philosophy of knowledge that states that only knowledge verified by experience is valid, and 'Scottish Philosophy', sometimes referred to as the 'Scottish School of Common Sense'. 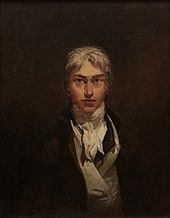 The most famous philosophers of British Empiricism are John Locke, George Berkeley[note 17] and David Hume; while Dugald Stewart, Thomas Reid and William Hamilton were major exponents of the Scottish "common sense" school. Two Britons are also notable for a theory of moral philosophy utilitarianism, first used by Jeremy Bentham and later by John Stuart Mill in his short work Utilitarianism. Other eminent philosophers from the UK and the states and countries that preceded it include Duns Scotus, John Lilburne, Mary Wollstonecraft, Sir Francis Bacon, Adam Smith, Thomas Hobbes, William of Ockham, Bertrand Russell and A.J. "Freddie" Ayer. Foreign-born philosophers who settled in the UK include Isaiah Berlin, Karl Marx, Karl Popper and Ludwig Wittgenstein. Rugby league originated in Huddersfield, West Yorkshire in 1895 and is generally played in Northern England. A single 'Great Britain Lions' team had competed in the Rugby League World Cup and Test match games, but this changed in 2008 when England, Scotland and Ireland competed as separate nations. Great Britain is still retained as the full national team. Super League is the highest level of professional rugby league in the UK and Europe. It consists of 11 teams from Northern England, and one each from London, Wales and France. This page is based on the Wikipedia article United Kingdom; it is used under the Creative Commons Attribution-ShareAlike 3.0 Unported License (CC-BY-SA). You may redistribute it, verbatim or modified, providing that you comply with the terms of the CC-BY-SA.